This may probably not be the first time you are hearing of SITE-MAPS, and their importance to your various blogs and websites, it gives you some SEO benefits, when you have site map published on your site and it gets crawled by Google spiders, they can easily read your links and index your entire content since Site maps contain the major Posts/contents from your whole website. Today, we'll learn how we can apply a very nice Site-map on our blogs, this one is kind of different, unique and more powerful than any other you already know because it contains Table of Contents which breaks it down to categories, this will greatly help your Visitors or Google spiders to understand your entire contents, very quickly. The one below is cancelled as they don't work right now. 4. Make sure you Change the blog's FeedBurner address Colors in RED to your own blog's feedburner address. 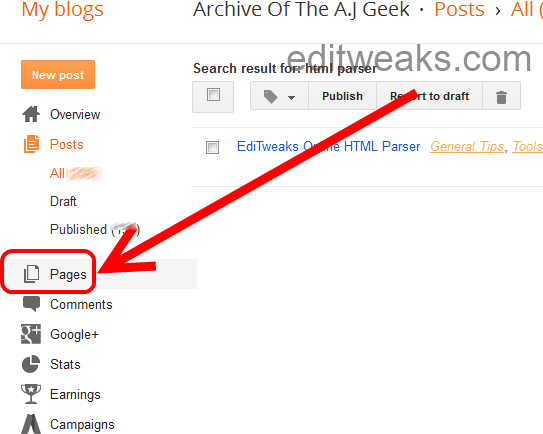 If you don't have a FeedBurner address for your blog, go to Feedburner.com and create one. Click Options >> READER COMMENTS > Choose "Don't Allow, Show existing" Done. If you want a different design from my own. You can change the values colored in Red to your own taste. Changing this Values #242424 and 15px will change the color and Font Size of the Category title. Changing this value in blue #0000FF will change the color of the links. That's all. Very easy isn't it? Now you may Press Like or Share to tell Friends about it.